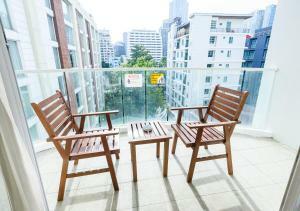 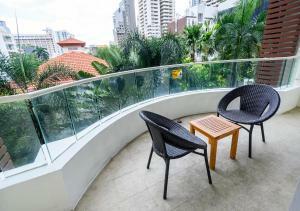 A 10-minute walk from Nana BTS Skytrain Station, Lohas Residences Sukhumvit is located on Sukhumvit 2. 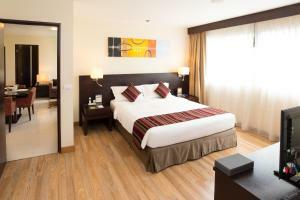 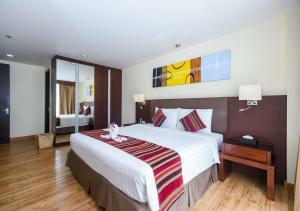 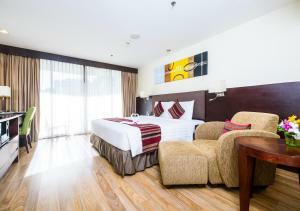 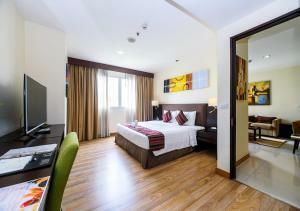 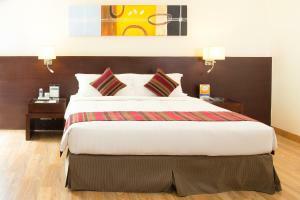 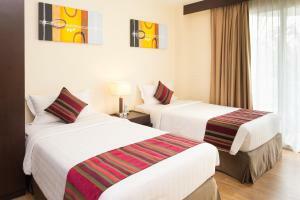 It offers contemporary, spacious accommodation with free WiFi and kitchenettes. 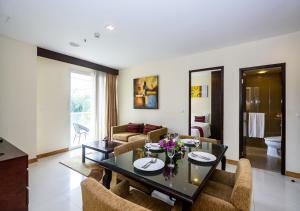 The residence also has a roof-top pool with a hot tub, sauna and a gym. 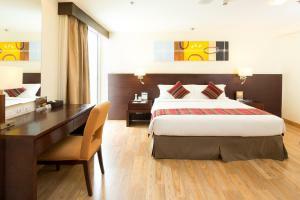 Featuring floor-to-celing windows and wooden floors, the modern rooms feature 32-inch flat-screen TVs, iPod docks and DVD players. 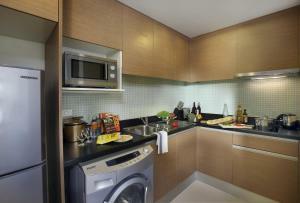 The well-equipped kitchenettes come with microwaves and refrigerators. 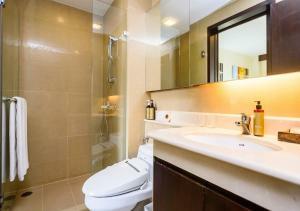 En suites bathrooms are supplied with a bathtub and free toiletries. 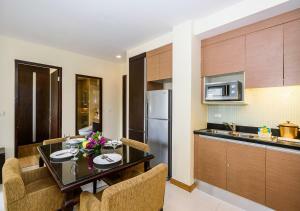 On-site Pillars Restaurant and Bar offers all-day dining with Thai and international dishes. 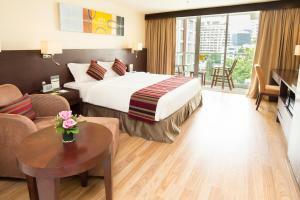 In-room dining is possible until late with room service. 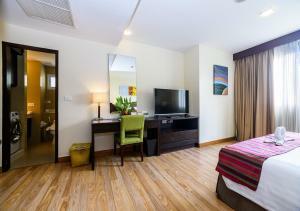 Staff at the 24-hour front desk can provide babysitting and concierge services. 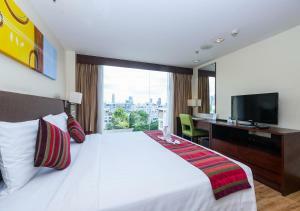 For added convenience, the hotel has a 24-hour Tuk Tuk service and business centre. 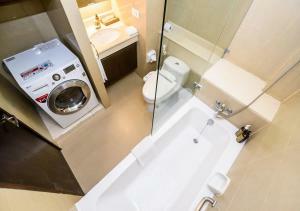 An air-conditioned room with an en suite bathroom and a kitchenette. 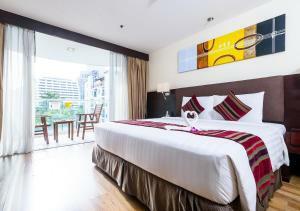 Rate: THB 1913.22 ... THB 15000.00; select dates below to get current rates. 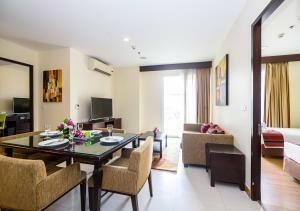 Spacious suite features separate lounge and dining area. 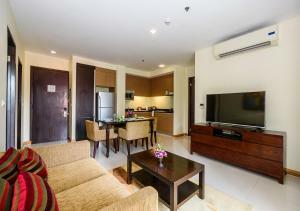 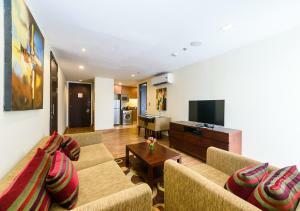 Spacious suite features modern furnishings with a fully equipped kitchenette, a flat-screen TV and a DVD player. 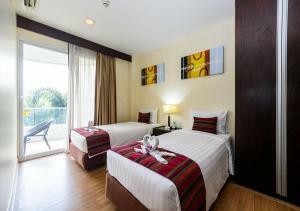 This suite comprises of two interconnecting suites. 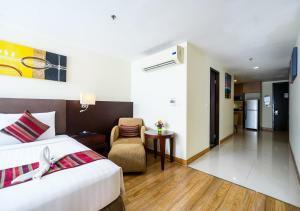 Featuring a private balcony with the city view, this spacious room is complete with multimedia, a dining table, a modern kitchenette, and a washing machine. 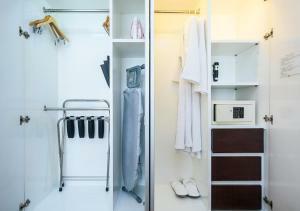 A shower as well as a bathtub are well supplied in its en suite bathroom.